It’s the time of year when our friends who sleep outside need a warm place to lay their heads. Please note the following press release that came out earlier today and make notes for the future! Sorry that I didn’t read and post it sooner. PLEASE NOTE IN BOLD AND ITALICS BELOW… In order to sleep in the Cold Weather Overflow Shelter, you must have a referral. Note: There are NO services (that I know of…) on the weekends! Sigh. The City’s Cold Weather Day Warming site will open on Saturday, December 13, Sunday, December 14, and Monday, December 15 from 6:30 a.m. to noon. Saturday and Monday – shelter guests should enter through the doors at 9th and Clay streets, closest to the court building. Sunday – City’s Department of Social Services Marshall Plaza location, 900 East Marshall Street. The City’s Cold Weather Overflow Shelter will open tonight, December 12, Saturday, December 13 and Sunday, December 14 as overnight temperatures are forecast to remain at or below 40 degrees during this period. The overflow shelter is located in the City’s Public Safety Building at 505 North 9th Street. The shelter entrance is the second entrance on the 9th Street side of the building closest to Leigh Street. The shelter opens at 7 p.m. and closes the following morning at 6 a.m. Shelter registration will be held from 7 p.m. to 9 p.m. Food will not be provided and pets are not allowed. Residents in need of overnight shelter are asked to report to Commonwealth Catholic Charities Homeless Point of Entry by 5 p.m. today for a comprehensive intake and referral to the appropriate shelter. 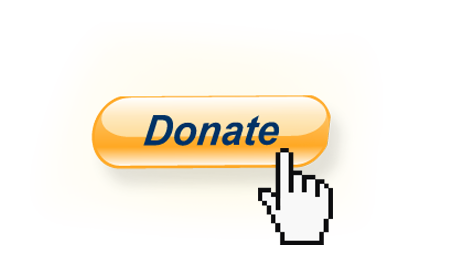 Commonwealth Catholic Charities Homeless Point of Entry is located at 511 West Grace Street. A referral to the Cold Weather Overflow Shelter will be provided to individuals who are not eligible for an existing shelter or if all available beds have been filled. Individuals seeking access to the Overflow Shelter must have a referral. The City’s Department of Social Services provides emergency assistance with gas and electric disconnection notices for residents who qualify. Residents may also call the Fuel Line at (804) 646-7046. Naps? Why, yes! Thank you! 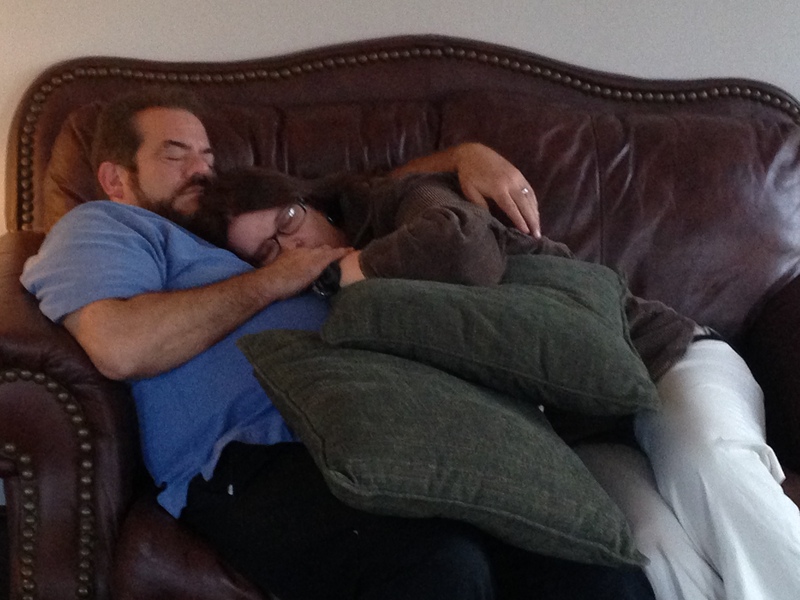 Posted: Thursday, December 4, 2014 | Author: Marti (Michalec) Williams | Filed under: 2k14 | Tags: Birthday, cowboys, naps, redskins, vows | Comments Off on Naps? Why, yes! Thank you! Happy Birthday, today, to the Other Half of My Pair. To many more years of napping together! Love you, babe! It’s been while since I have written. Living life sometimes just gets in the way of writing. And writing sometimes gets in the way of living life. Life won out over writing. Many of you have asked why I’ve been radio silent lately. This will give you some insight into what we have been up to and why it’s been a bit quiet. So…here’s what’s been happening since I really spent some time putting words to paper. David Bailey (and the rockin’ worship band!!) from Arrabon and Making a Melody. We are so thankful for the planning team and all the volunteers who supported the effort! What a blessing! Just as we were recovering from the weekend, Louis’s mom had several significant health issues that basically forced us to move her to Richmond (RVA) from Charlotte, NC. We are so grateful for her church family that have helped out over the years, but especially with her transition to RVA. 3 months later, we are attempting to settle into a rhythm again. Life hasn’t been easy for Mama Louise (Mama L, for short). In 3 months, she’s had a broken elbow, countless doctor’s appointments, 2 back surgeries with a total of 10 days in the hospital, multiple moves, and significant number of other changes including multiple diagnoses. 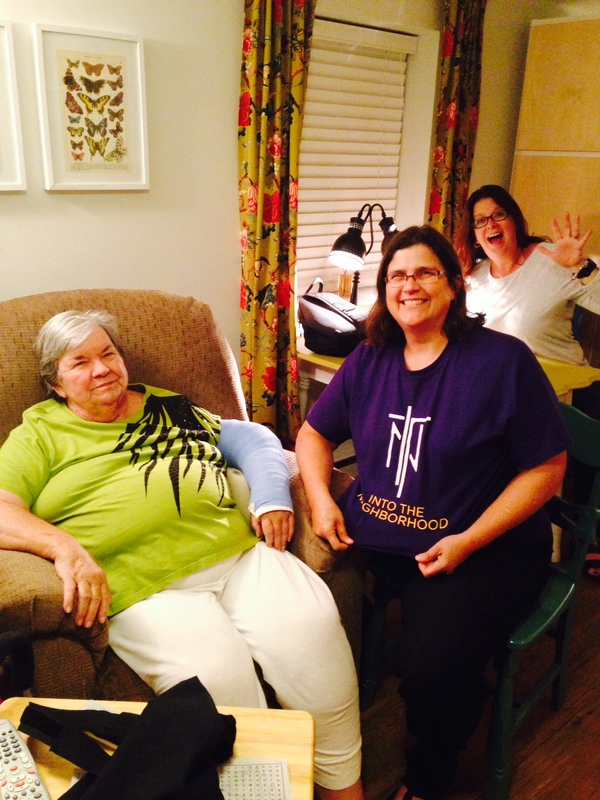 We are soo glad that she was open to moving here where we can be closer to her and help provide for her care. I’m so grateful for the many friends (here and in Charlotte) who have come along side us as we continued to ‘do life’ in Southern Barton Heights and love on Mama L. I don’t know what we would have done without them. Seriously. So, in a life where we intentionally live ‘on mission’ in our community, often times our family becomes our “mission”….our priority. 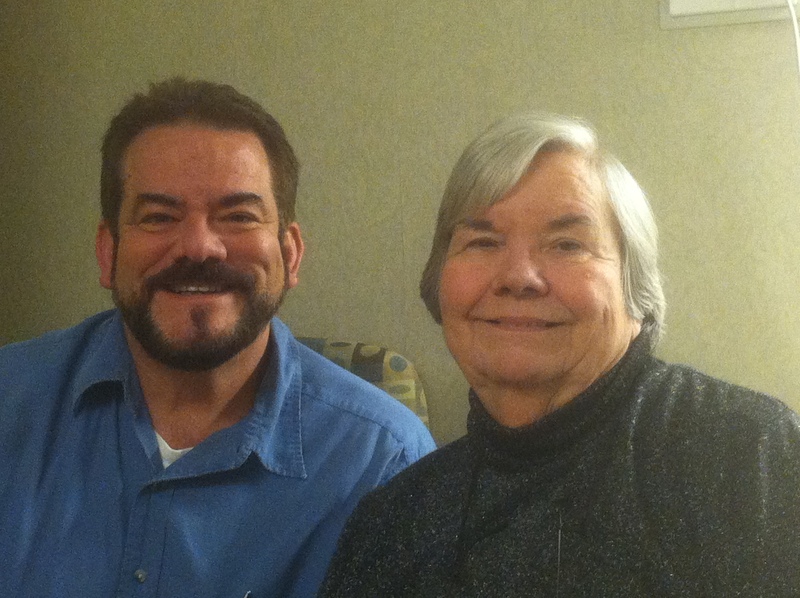 This was much like last year (2013), when Louis had 3 joint replacements and I had an emergency gall bladder removal. We had to slow down significantly. 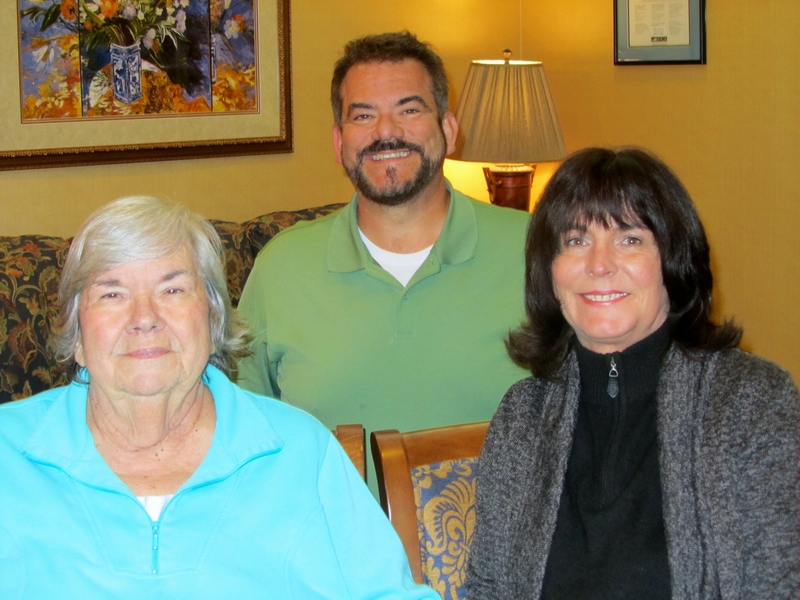 Although it can be a difficult time for Mama L and for us, it is a blessing to serve her and those who take such good care of her. Dear friend, Noelle (fancy hair stylist! 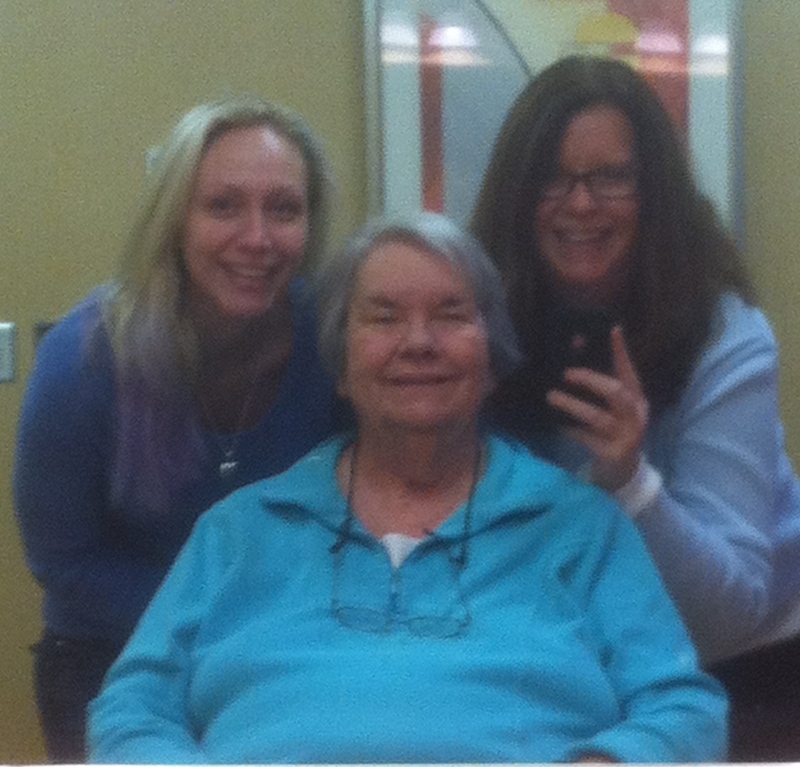 ), Me and Mama L after she got a hair cut and style. 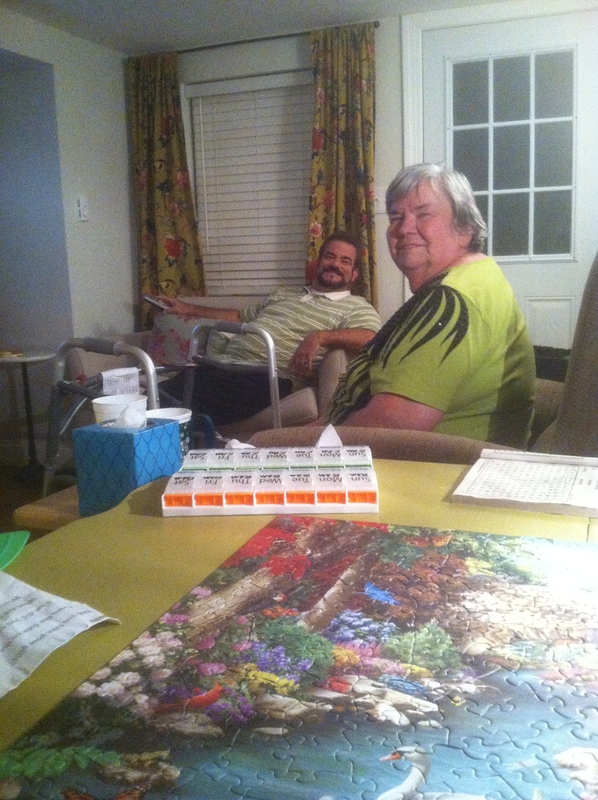 Mama L chillin’ with Louis and me as I finished a jig saw puzzle in her apartment. 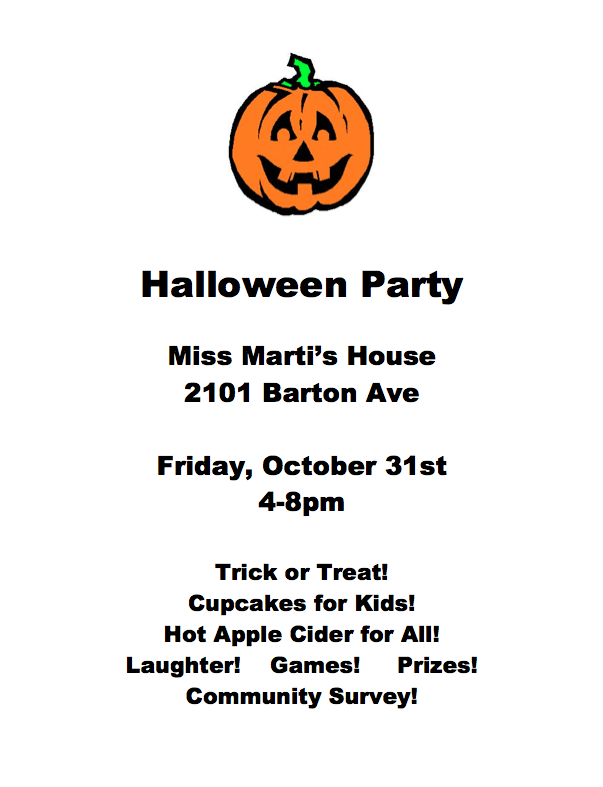 Halloween, as always, is an OUTRAGEOUS time at Miss Marti’s House. We are grateful for our friends and neighbors who came by. We also are sorry we didn’t get many pictures, though. 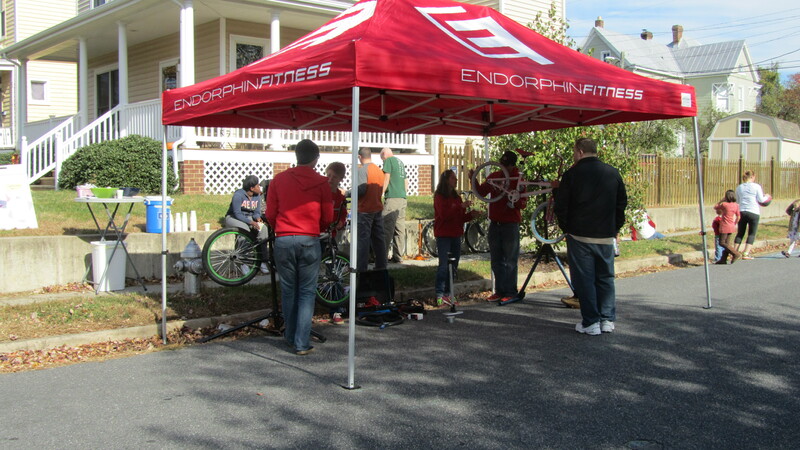 We were thrilled to partner with Endorphin Fitness, who came out to hold a Bike Repair Clinic. 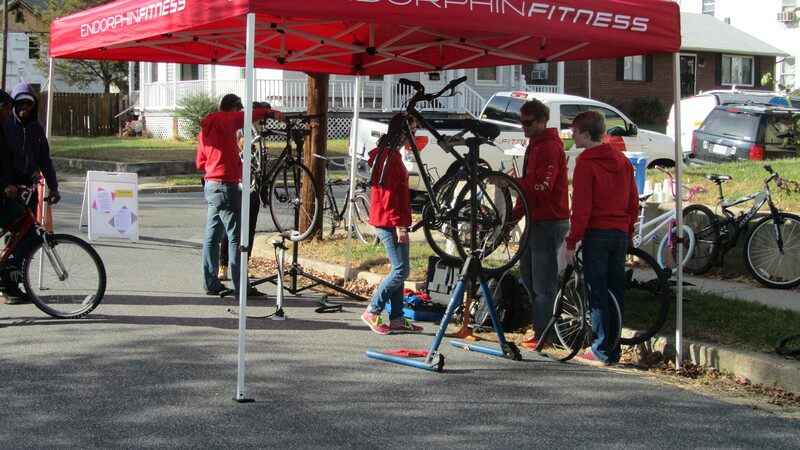 We fixed up over 20 bikes in just 2 short hours. Not only that, we set up a circuit to got exercising as well. What a gift to the community! Truly. 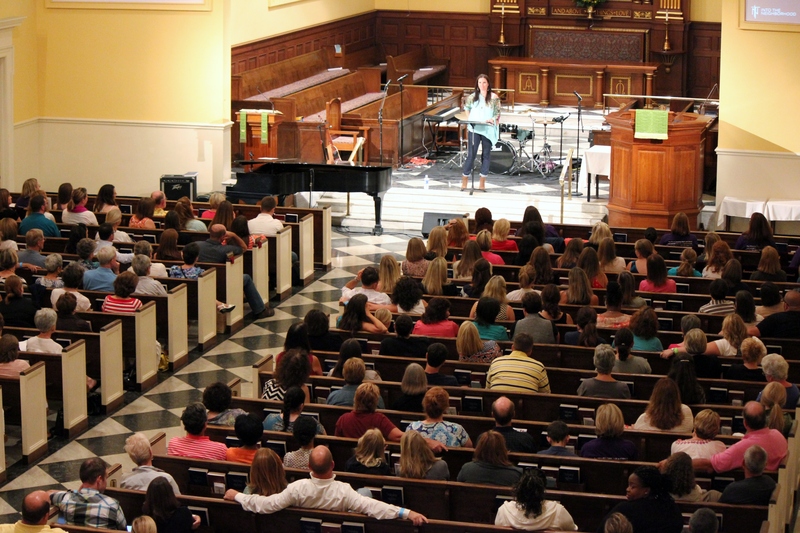 So thankful for our friends from Hope Church who continue to join us in a variety of ways! 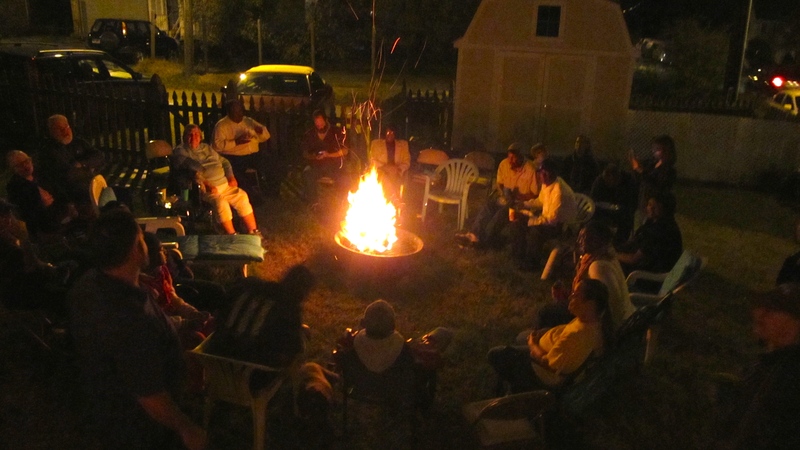 We celebrated Louis’s 24 Years of Ministry as an Ordained Minster of the Gospel with food and fellowship with a side of prayer around the fire pit. We welcomed friends and stories from the past and present! Thanks to the many friends who showed up and made this possible! 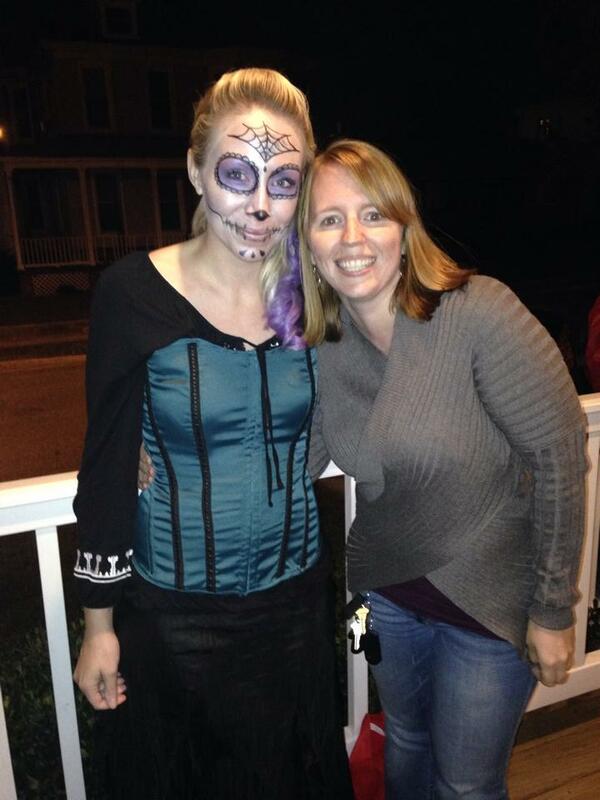 Mama L even made it to the celebration! 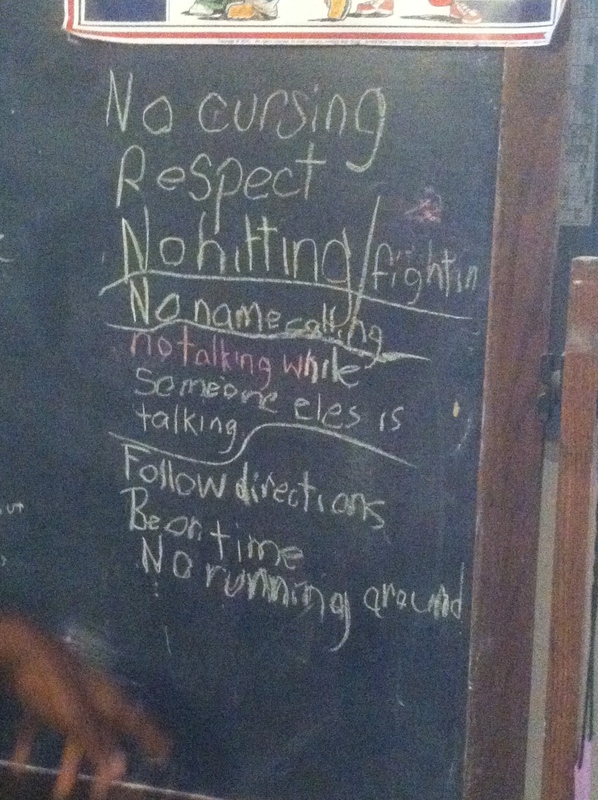 On Tuesdays at 4pm, we now host a kids club called H.I.S. Kids at Miss Marti’s House. H = Hope Where we share the Hope in Jesus Christ. I = Inspire Where we Inspire and Encourage the Kids in all they do – at home, at school in the present and the future. S = Serve Where we look for opportunities to Serve our neighbors. And, we continue to meet together as a micro-expression of a missional church – Life Transformation Church – every Tuesday evening…as we fellowship together, study God’s Word together, pray together, and do life together. 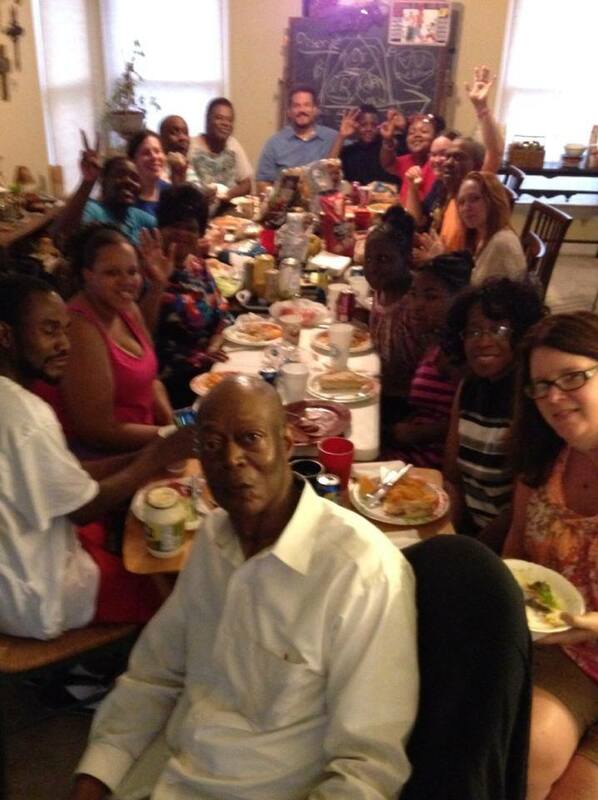 I love this group of friends and spiritual family! 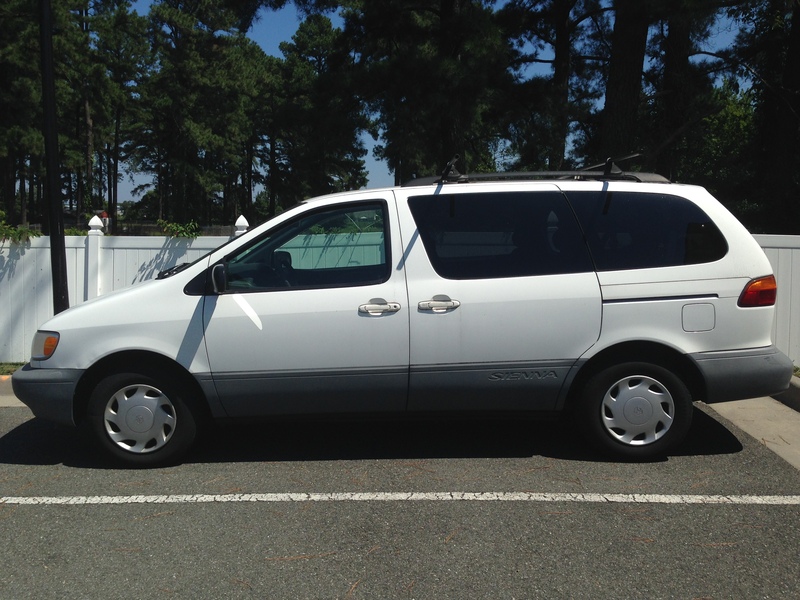 Recently, new friends donated a minivan to our ministry! This is AWESOME news! It needs a little basic maintenance (a front end alignment and 2 new tires pretty soon), insurance, and other basic items before we can officially use it. 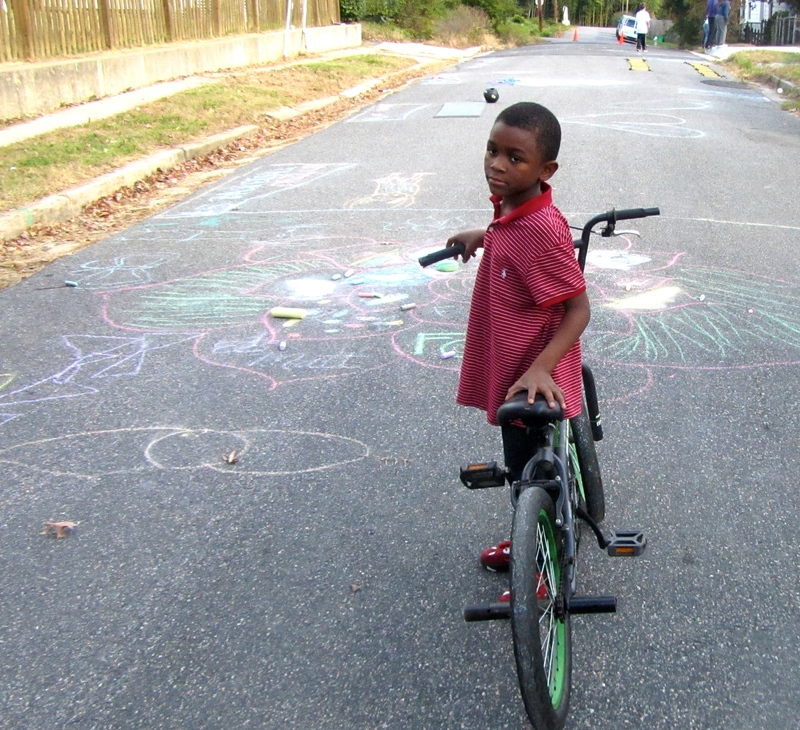 But, we are thrilled to have an opportunity to provide tangible services to the community in the near future. We are calling this ministry – “Holy Rollers”, where we will be able to provide transportation to an affordable grocery store on a regular basis, doctors’ appointments, and jobs! We are in the very early stages of developing the plan with our community, and we are SUPER EXCITED!!! More to come! We have some upcoming community building times coming up. Feel free to join us! Happy Birthday, Jesus Christmas Party for Children of ALL ages! Thanks for your continued support and partnership! We are full of THANKS for your GIVING! Your gifts and donations help us with these and other upcoming ministries we have planned in 2015!